Jack Mumpower trains with Mr. Ohba in Japan (1960). Mr. Mumpower practices jo applications of the 15 Basics with Mr. Ohba that would later be systematized into Koryu-dai San (1960). Jack Mumpower applies aigame-ate against a sword attack from Mr. Ohba (1960). This original painting by Mr. Tomiki was given to the CVMA dojo by Sensei Mumpower in 2016. 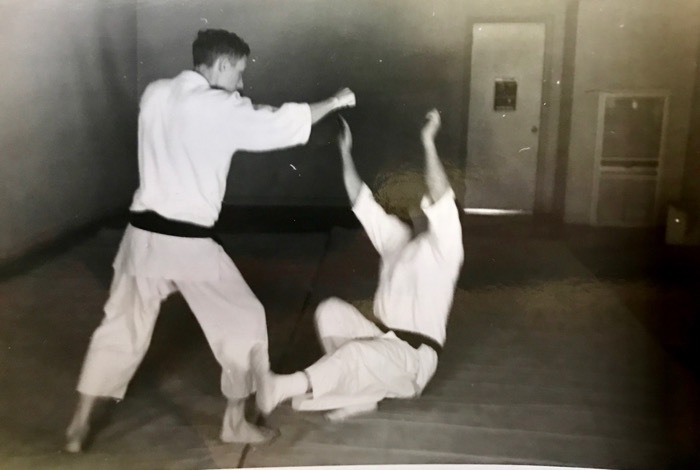 Mr. Mumpower teaches Tomiki Aikido in Charlotte, NC in 1960. 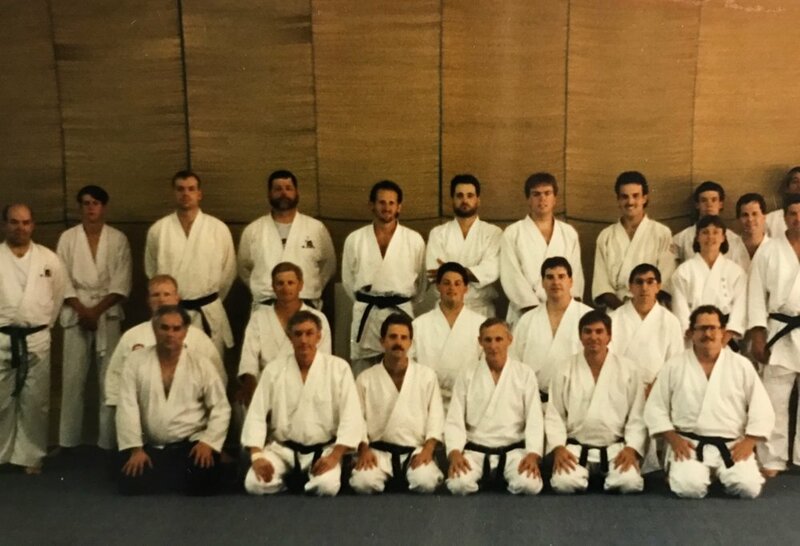 Mr. Mumpower conducts a seminar for Aikido Black Belts in Charlotte in the 1990's. Sensei Larry Beal is in the second row and second to Mr. Mumpower's right. Jack Mumpower's 6th Dan certificate was presented to him my Mrs. Tomiki after his teacher's death. Mr. Mumpower stands with his last formal students, Michael Arney & Jesse Boyd. 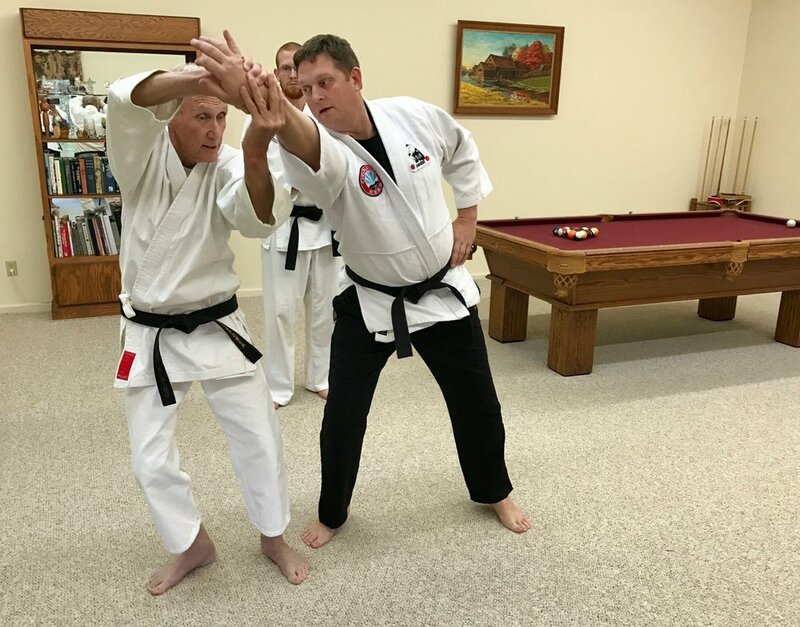 Mr. Mumpower teaches CVMA black belts in his home (2017). In his 80's, Mr. Mumpower is still very quick and very dangerous. Mr. Mumpower teaches the 15 Basics in 2017 the same way he was taught in my Mr. Tomiki himself in the 1950's. Mr. Mumpower presents Michael Arney with 4th Dan and Jesse Boyd with 3rd Dan, his last formal promotions (2017). 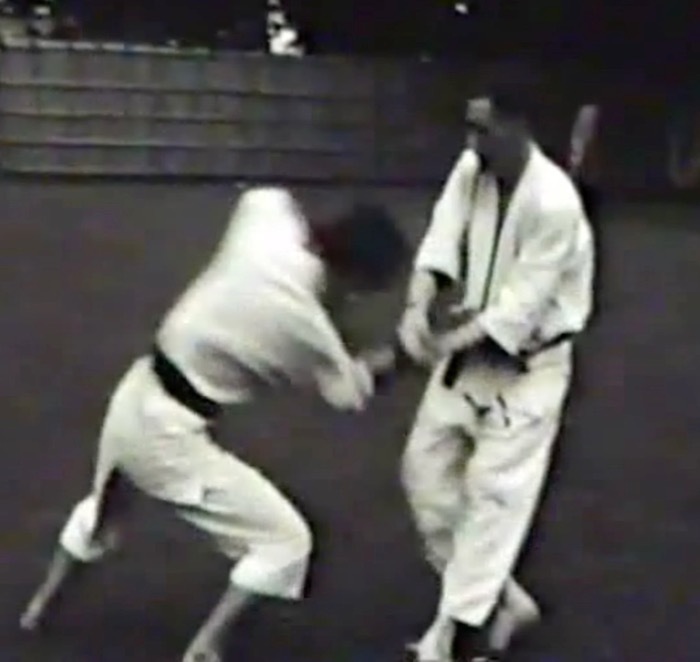 This footage from 1960 reveals Jack Mumpower and Hideo Ohba demonstrating the Basic 15 (as originally taught by Mr. Tomiki) and some parts of Old Style 3 practiced as applications of the 15 Basics long before Mr. Ohba systematized the Koryu-dai kata. 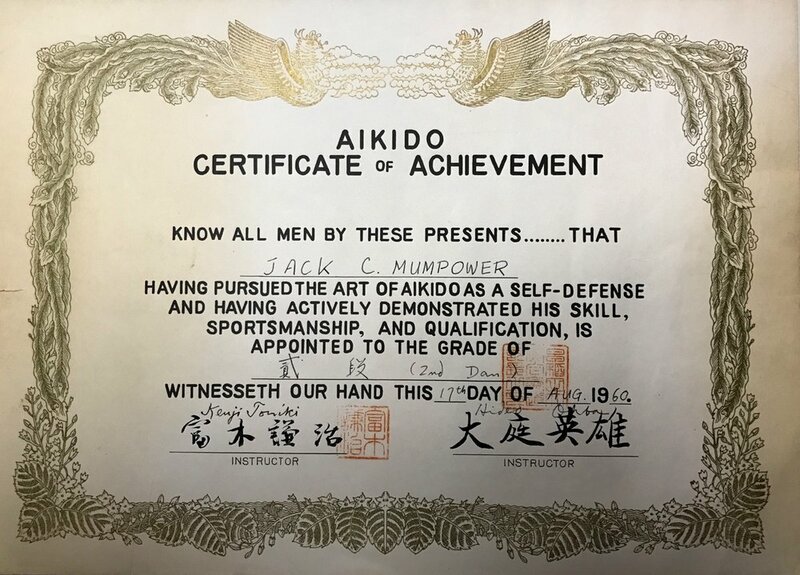 Jack Mumpower trained under Mr. Tomiki and Hideo Ohba at Fuchu Air Force Station in Japan four days a week for more than two years and then opened the first indigenous Tomiki Aikido dojo in North America in Charlotte, NC in 1960. There is a short clip in this middle of this footage where Mr. Mumpower is doing randori with one of the Waseda students who came over that particular day to film. 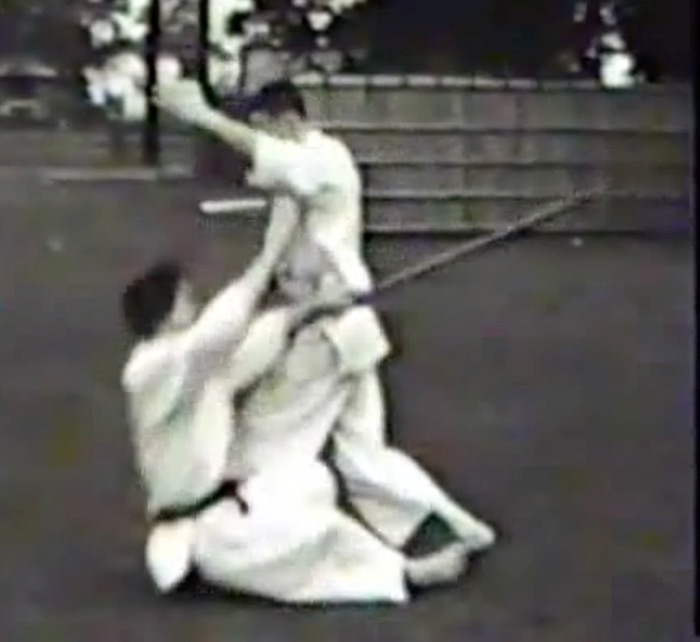 This training tape by Sensei Jack Mumpower illustrates the Aikido 15 Basics as originally taught to him by Mr. Tomiki. 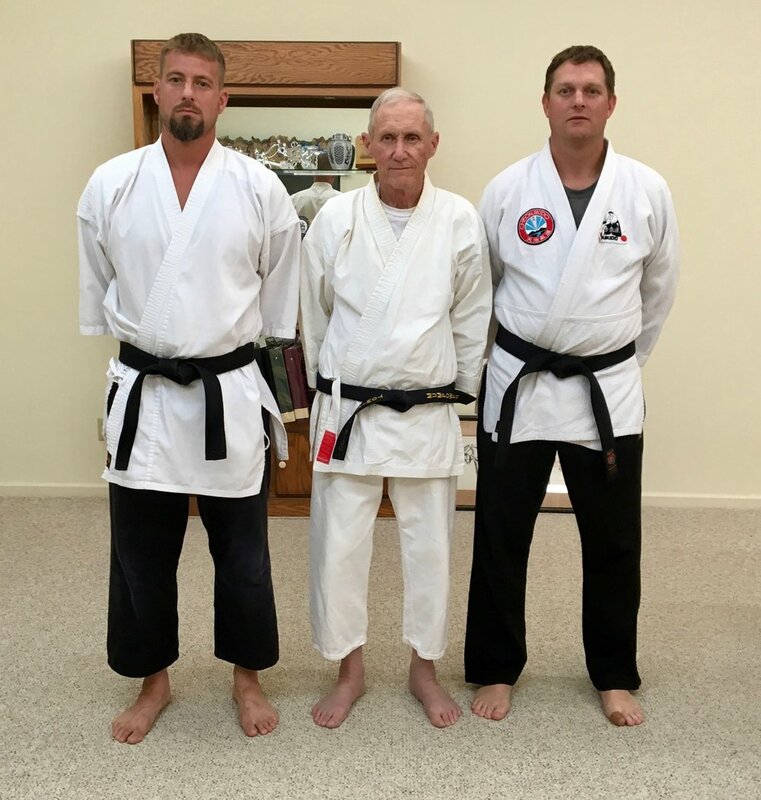 Jack Mumpower trained under Mr. Tomiki and Hideo Ohba at Fuchu Air Force Station in Japan four days a week for more than two years and then opened the first indigenous Tomiki Aikido dojo in North America in Charlotte, NC in 1960. 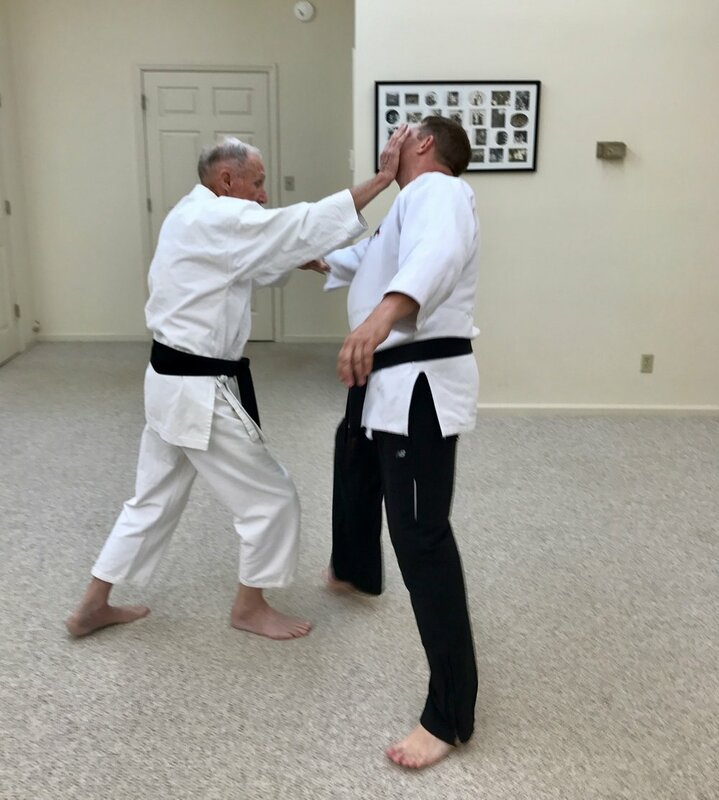 This training tape by Sensei Jack Mumpower compares the Aikido 15 Basics as originally taught to him by Mr. Tomiki with the 17 of the Randori-no Kata. Jack Mumpower trained under Mr. Tomiki and Hideo Ohba at Fuchu Air Force Station in Japan four days a week for more than two years and then opened the first indigenous Tomiki Aikido dojo in North America in Charlotte, NC in 1960. Jack Mumpower is the pioneer of indigenous Tomiki Aikido in North America. He trained as a student of Kenji Tomiki and Hideo Ohba at Fuchu Air Force Station in Japan four days a week for more than two years and then opened the first indigenous Tomiki Aikido dojo in North America in Charlotte, NC in 1960.This footage of Sensei Mumpower illustrates Koryu-dai Ichi (Old Style #1) and Koryu-dai Ni (Old Style #2) as combative applications of the 15 Basics. Jack Mumpower is the pioneer of indigenous Tomiki Aikido in North America. He trained as a student of Kenji Tomiki and Hideo Ohba at Fuchu Air Force Station in Japan four days a week for more than two years and then opened the first indigenous Tomiki Aikido dojo in North America in Charlotte, NC in 1960.This footage of Sensei Mumpower illustrates Koryu-dai San as combative applications of the 15 Basics.